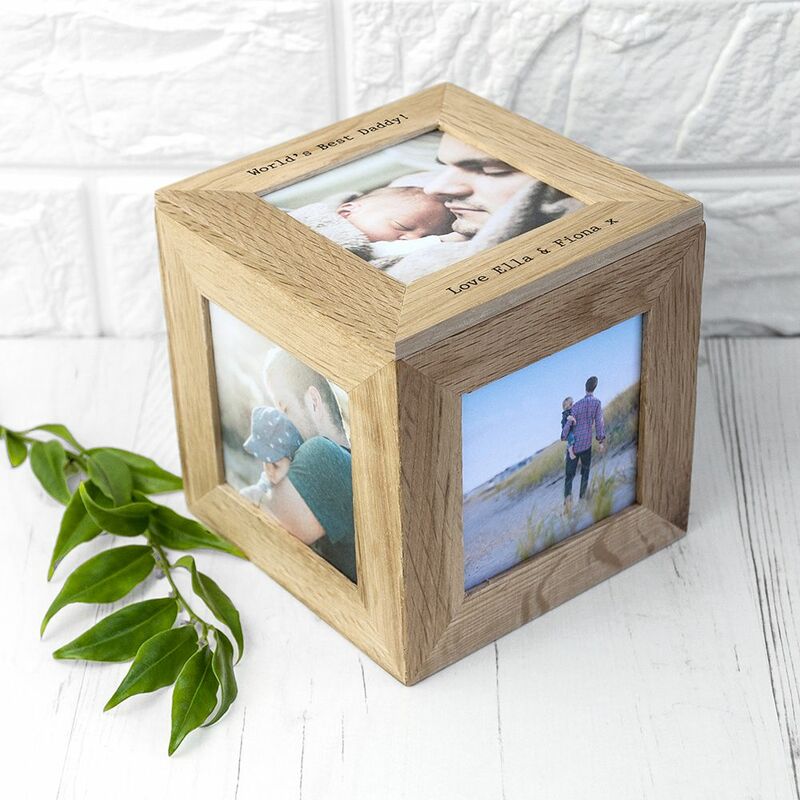 This Personalised Oak Photo Cube Keepsake Box is a beautiful keepsake to treasure for years to come. 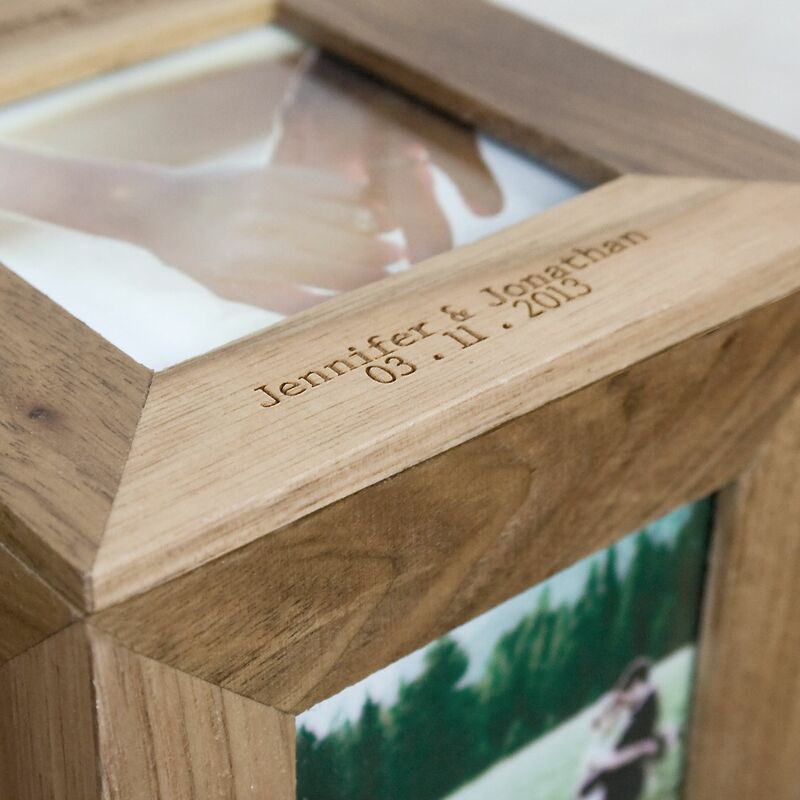 Fill the cube with special photos of memories past and present, making this the perfect way to remember a significant event. The lid of the box can be personalised with a message over 2 lines at the top, above the photo, and a message over 2 lines at the bottom, beneath the photo. 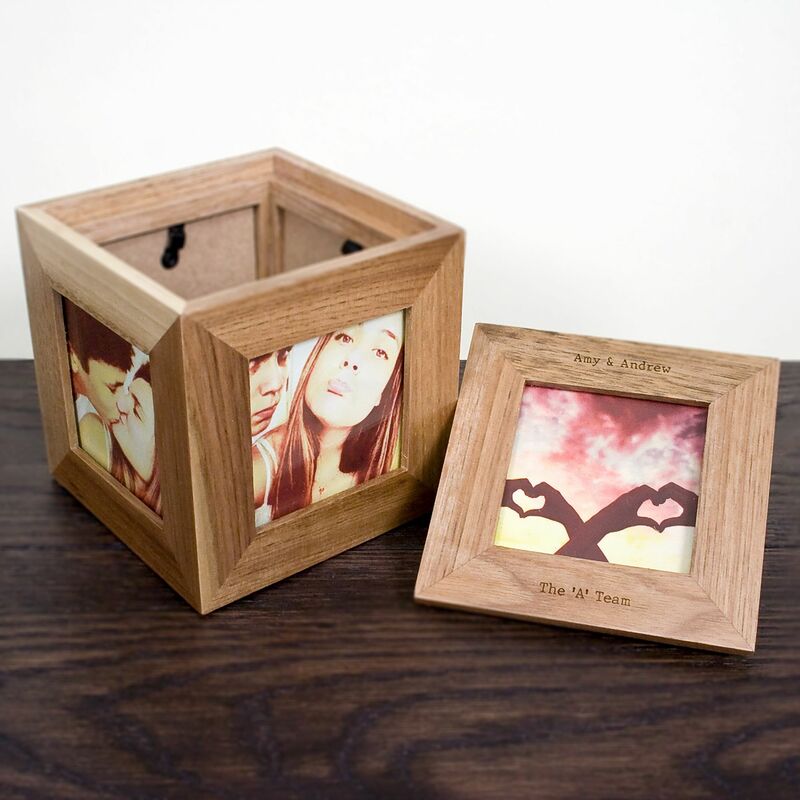 Made from Light sandy Oak wood, the cube has space for 5 photos of your choice. To change the picture there is one segment that comes away from the rest for easy access.